Morrissey has canceled his headlining performance at the KROQ Almost Christmas Acoustic show, scheduled to take place in Los Angeles this Sunday night. Earlier in the week Morrissey postponed shows in Philadelphia and Boston due to an “illness in the touring party.” A statement was released via the KROQ Twitter apologizing for the disappointment. If you've been keeping track, this brings Morrissey to 127 shows that have been postponed or canceled since 2012. Luckily, the singer will have plenty of time to recover before he hits the road again, as he is not scheduled to tour until February of 2018. You can view Morrissey's early 2018 tour dates, below. 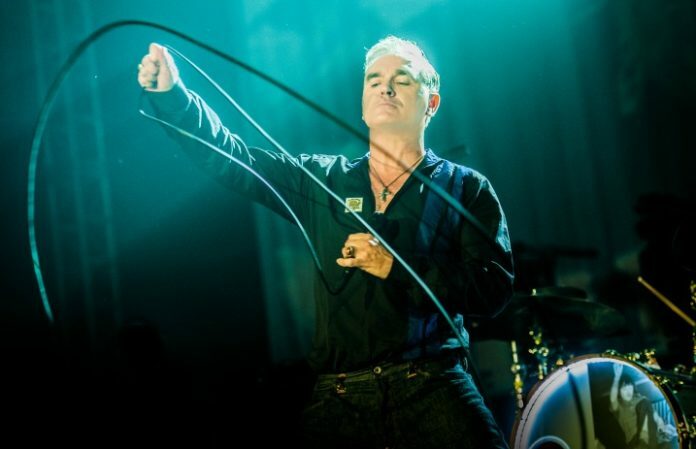 What do you think of Morrissey's triple-digit canceled/postponed show count? Let us know in the comments below.